Click here to download the media kit to learn more about advertising in the Midwest Journal! Vice Chair – Jonghoon “John” Kim Ph.D.
Treasurer – Josh Kercho, P.E. 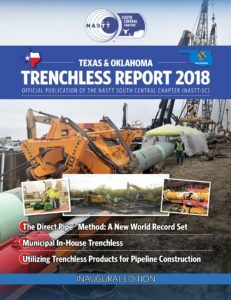 If you are interested in advertising in the South Central Trenchless Report magazine, download the media kit here for more info.